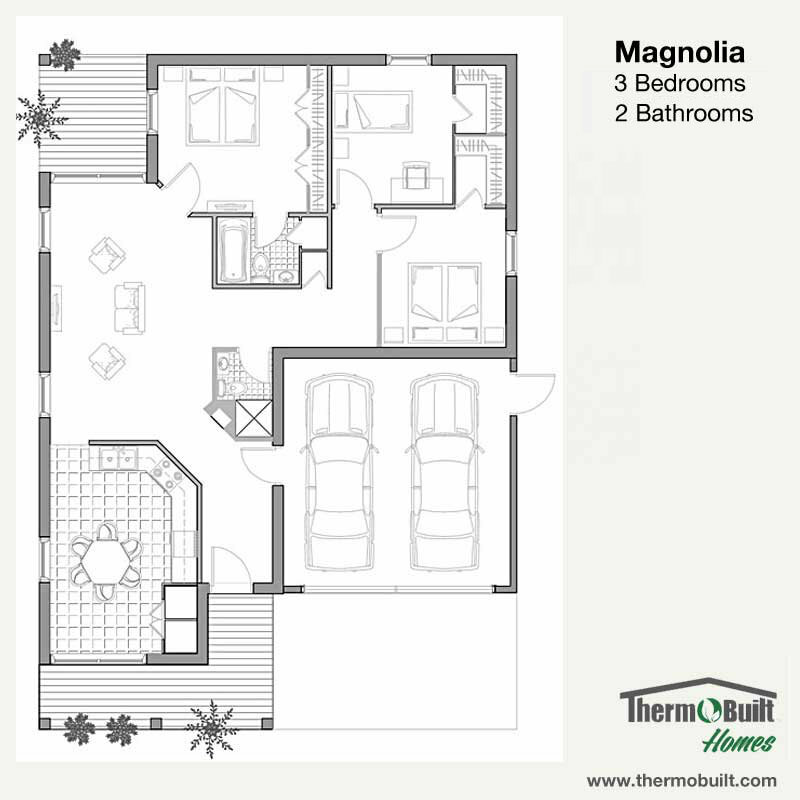 Plan_Magnolia – ThermoBuilt Systems Inc. The Magnolia plan is a 1,025 heated square feet, three bedroom and two full bath plan, and 309 square feet in your included garage. A large kitchen off of the entry is both large and functional. The laundry is conveniently located in a closet in the kitchen. A very large living area is perfectly suited for large gatherings. A lanai located off of the family room offers easy access to outdoor living. The Master bedroom features an En-Suite with Linen Closet. Two additional, equally sized bedrooms with walk-in closets, and a full Guest bath complete this plan. Roof Design Options: Simple Gable with a 4:12 pitch Included.